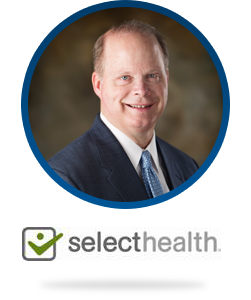 Shane has worked in the Healthcare field for 32 years. Shane works for an insurance company called Selecthealth. He is the Director of the Enrollment and Premium Billing Teams. His responsibilities include oversight for enrollment of membership and monthly premium billing statement revenue. Shane also oversees the print and mail functions for Selecthealth. Shane was born and raised in Rexburg, Idaho and has lived him the Salt Lake City, Utah area for the past 32 years. Shane and his wife Julie, have three children and two grandchildren. Shane enjoys all kinds of sports and love taking trips with his family to see the world.